“The Dark Tower” -- I have been like a kid in the candy store waiting for “The Dark Tower Tower” to come out. The cast, including Idris Elba and Matthew McConaughey are solid in their particular roles. Elba’s part is of Roland Deschan, the gunslinger, who for all intents and purposes is like a real-life knight of old. He no longer uses a sword, rather a gun that suffices as a weapon. McConaughey is an evil creature simply referred to as the man in black. His identity is that of Walter a , who cares very little for life in the least. He nonchalantly kills some of his servants without a care in the world. Tom Taylor brings a sense of knowhow and smart sense to life as Jake Chambers, an 11 year-old kid deals with a fiction that becomes fact. He ventures into Mid-World, a link between the real world and another place that is a fiction. It took more than a decade, but Stephen King s adaptation of his epic fantasy western hybrid finally made it to the silver screen. Quite a few years ago, “House of Sand and Fog” helmer Vladlim Perelman was attached to direct his adaptation of “The Dark Tower, but often times a mere handshake is not a guarantee of seeing his vision was going to do justice to The Dark Tower. Obviously his vision did not pass the muster with producer Ron Howard, who actually took the reins for director Nikolaj Arcel who usually spends time scribing films like “The Girl With the Dragon Tattoo.” Now, this is going back to the 2009 original with Noomi Rapace and Michael Nyvqist. That particular entry was on my ten best list for the 2009 year. What people need to realize is that King just has his name attached, nothing more. His one directorial effort behind the camera was 1986 s awful “Maximum Overdrive” a popcorn flick headline d by Emilio Estevez. It was not a good movie in the least. Pure drivel, trust me. A lot of King adaptations are amongst my favorite movies of all time. That would be 1994’s epic drama that was “The Shawshank Redemption,” the fictional story about a convict wrongfully sentenced for a murder he didn’t commit. I also admired his take on 1999’s “The Green Mile,” in which Tom Hanks was a prison guard in the 1930’s and had to oversee the dreaded mile of the title. Michael Clarke Duncan was Oscar-nominated for his role as John Coffey, a giant man who constantly states his name is not spelled the same way as that tasty morning beverage. The trouble is with most King adaptations, he just sells the rights to use his name, nothing more, nothing less. 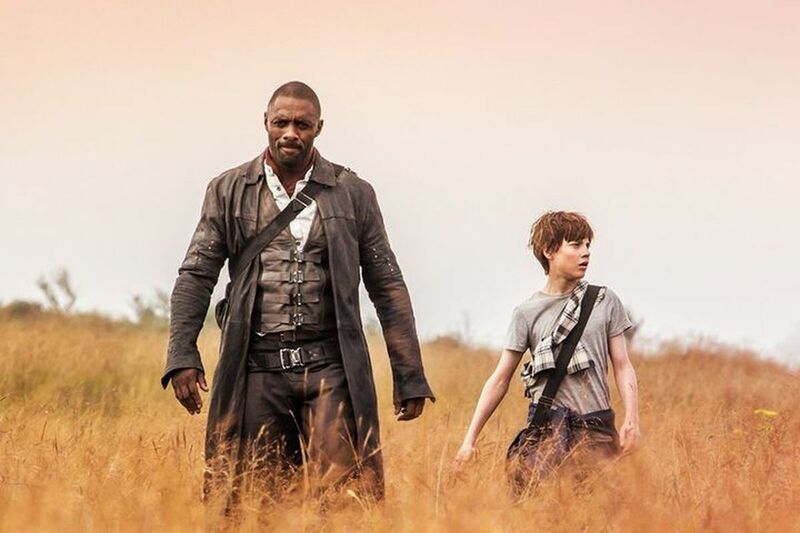 King will be a household name because the television episodes spun from “The Dark Tower” will be seguing to TV screens this fall in some capacity as well as the new Mr. Mercedes, a Brendan Gleeson-led tale which will have interesting and dynamic characters galore.